The last couple weeks fishing for Winter Steelhead on the Klamath river have been excellent. Steelhead in the 1/2 to 7 pounds class have been active and biting on a variety of methods. 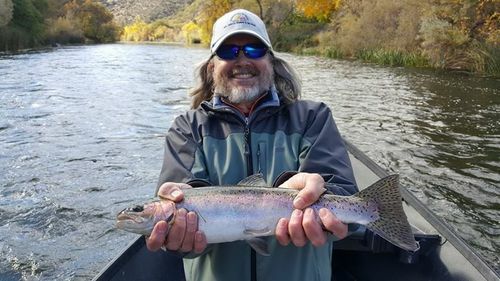 On the fly side, fishing multiple patterns under an indicator has been producing the best, but one can also catch these wily fish on the swing. Backtrolling, Casting plugs and bait has been producing a lot of action as well. This past weekend George Lozano and his Grandson Jonathon caught and released 44 fish. It was quite the battle with Jonathon taking most fish 24 to 20 and George winning the Big Steelhead honors. 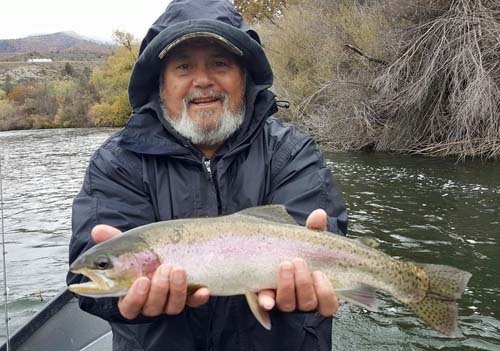 Despite the crazy at times Winter weather you can count on the Klamath Steelhead fishing to produce for the next few months.